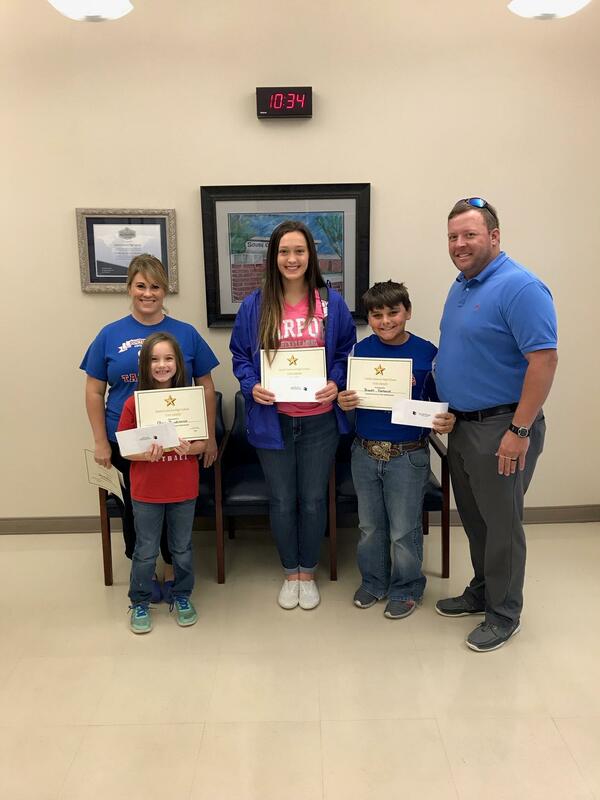 The Cameron STAR program recognizes students, faculty, and staff members who exhibit outstanding qualities such as character, commitment, and self discipline. Brandt Fontenot is a 7th grade student who is helpful to all of his classmates and always shows school spirit and pride in everything that he does. Marley Thibodeaux is a Senior who is an outstanding leader and positive role model who exhibits exceptional character traits. Mrs. Derinda Mouton is recognized for being an outstanding teacher, as well as a thoughtful and generous colleague.